This Meade telescope has a lens diameter of 130 millimetres and a focal length of 1000 millimetres. This gives you a maximum meaningful magnification of 260x. You can easily find the objects through the GoTo-system and follow them with the tracking engine. Because the telescope comes with two eyepieces of 9 and 26 millimetres, you can choose the magnification yourself. 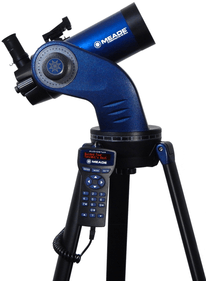 Because the telescope has a compact size, you can easily use it on location. 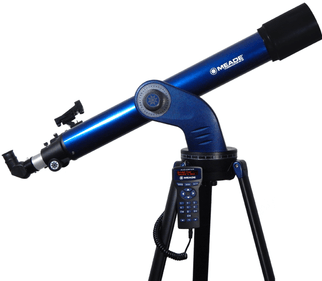 If you want to start with astronomy, this telescope is very suitable for you as a beginning astronomer. 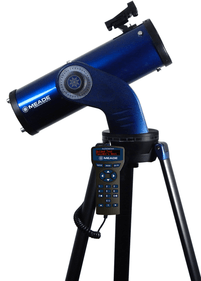 This Meade telescope is equipped with many tricks and is easy to align, so you can start immediately with stargazing. 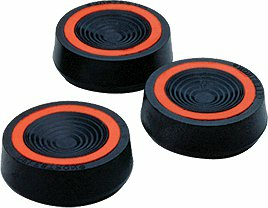 The lens has a diameter of 130 millimetres and the focal length is 1000 millimetres. This results in a maximum meaningful magnification of 260x. With the two eyepieces of 9 and 26 millimetres, you can determine whether you want to view the details of an object or whether you want to keep the overview. A GoTo-system is installed in the Meade StarNavigator 130 millimetres reflector. This allows you to easily find 30,000 celestial objects in the universe. The system can also give you information about the relevant object. Regular telescopes do not fixate on one object, so the object moves out of the image due to the rotation of the earth.With the tracking motor of this telescope you have no trouble with this. 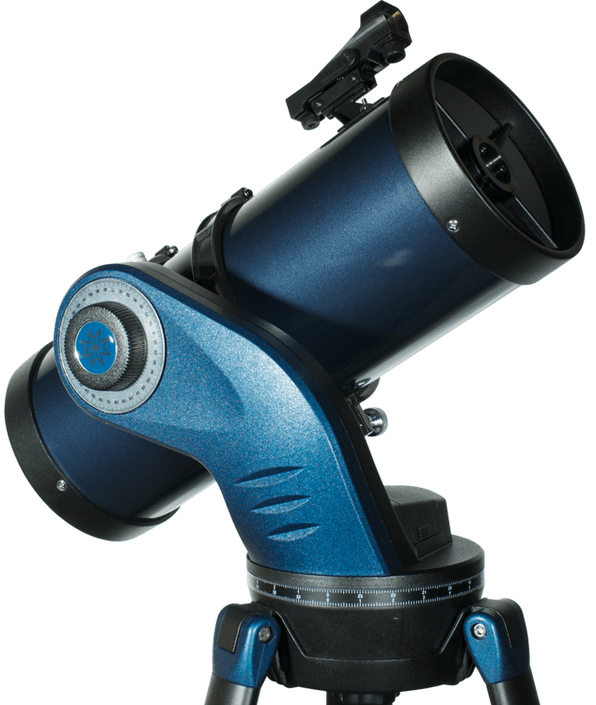 Focus your telescope on an object, set your tracking motor, and it will automatically follow it. 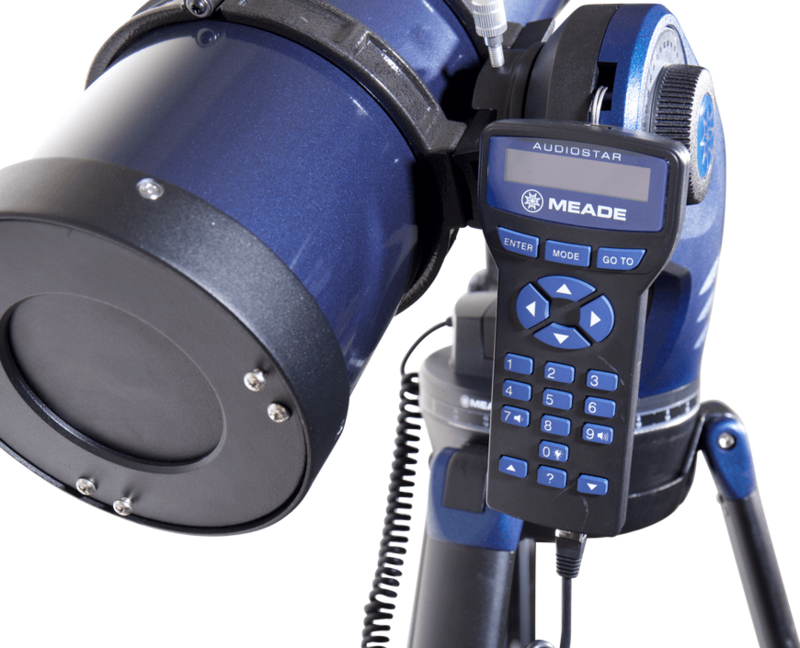 Write a review By sharing your experience with the Meade StarNavigator 130 mm Reflector, you can help others (perhaps still doubting customers) with making a good choice.